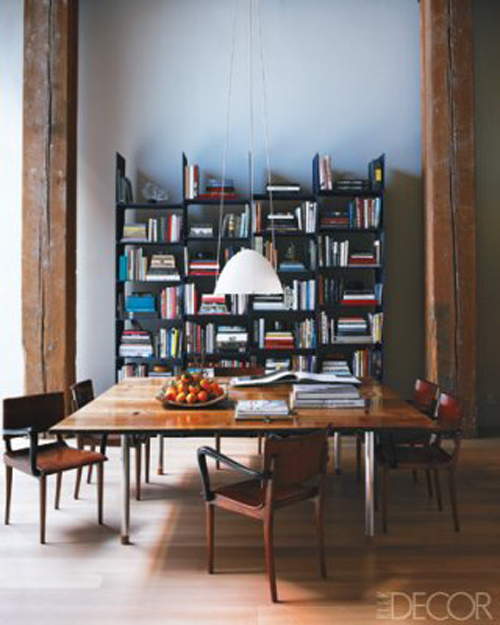 The new issue of Elle Decor has a beautifully curated city loft by Steven Volpe. 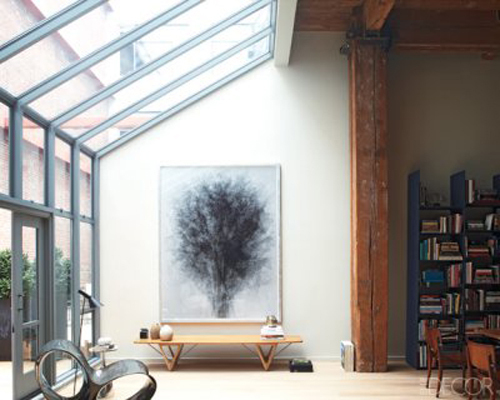 Solarium windows to die for. 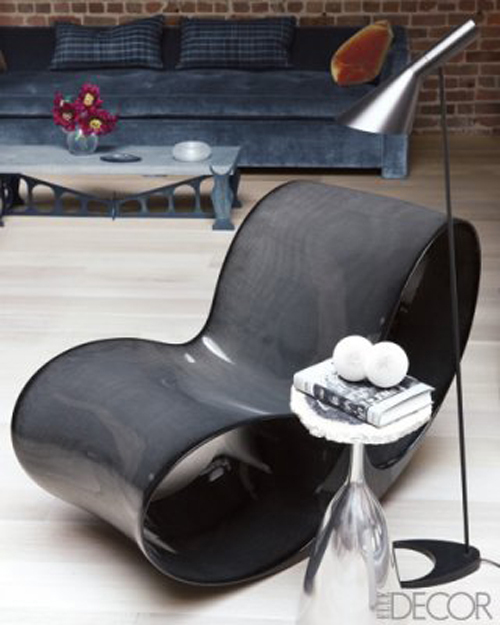 Arne Jacobsen floor lamp, Ron Arad’s Oh-Void chair, aluminum-and-marble table by Philippe Hiquily. Kind of getting addicted to these colors…midnight blue + rust. 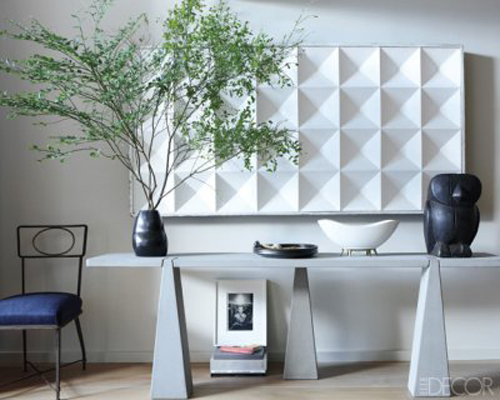 Mongolian lambskin chair is by Franco Albini. 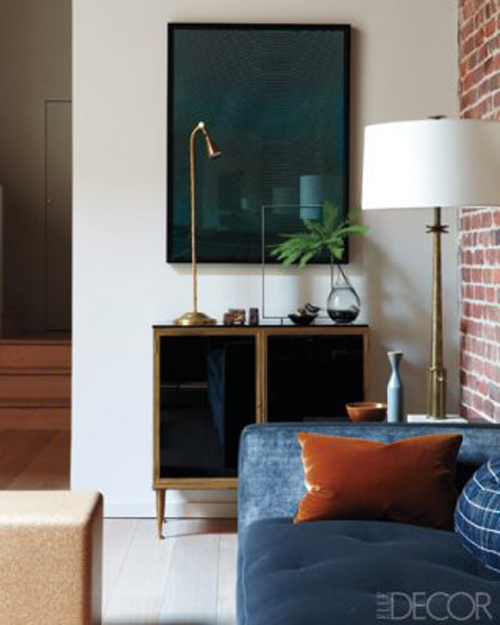 Exposed brick. 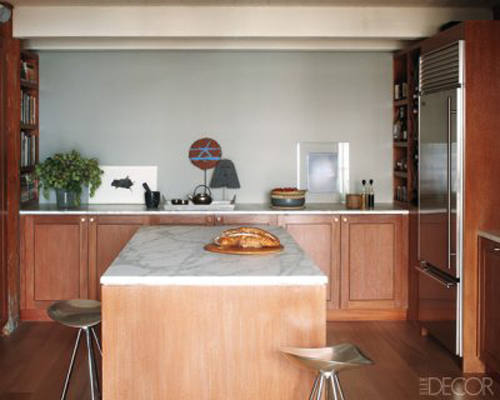 Bleached mahogany kitchen cabinetry. Calacatta d’Oro marble counters, Franke fittings. A bit of greenery goes a long way.